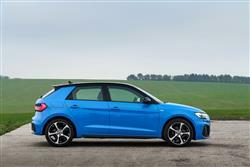 The Audi A1 has firmly established itself as the ultimate supermini - the essence of democratic down-sizing. 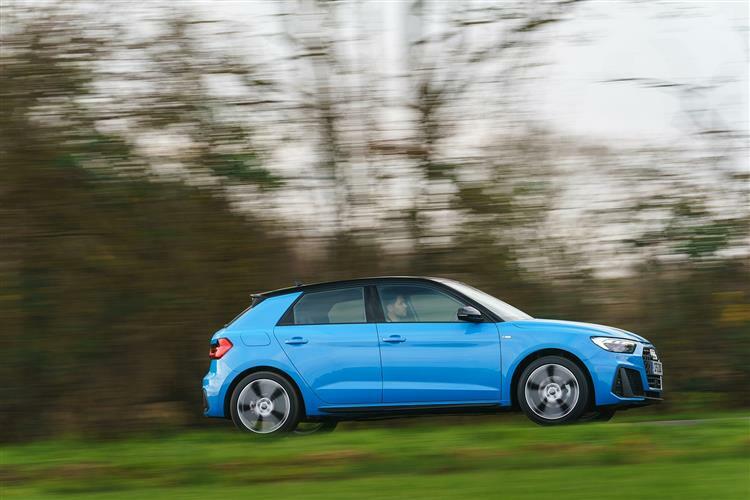 This second generation A1 Sportback is smarter, more efficient and better-equipped - and remains a seductive package for small car buyers. Luxury makers often cut corners to drive down the cost of their smaller models and it shows. Not Audi. 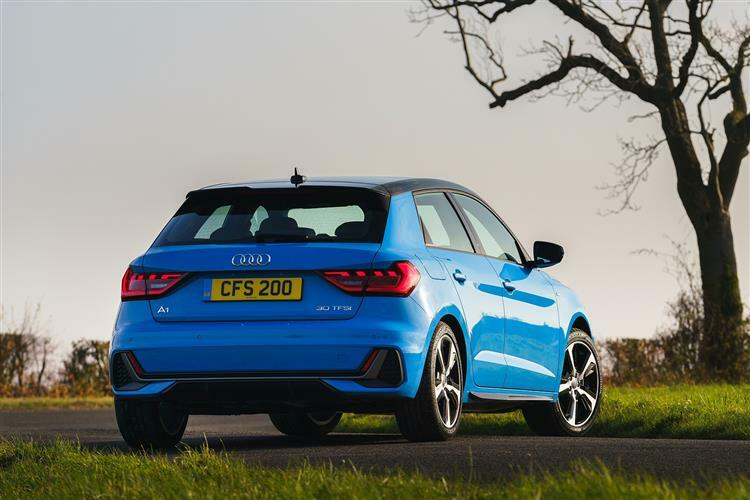 In any form you choose, this A1 Sportback will always feel reassuringly expensive. What if you really could distil the essence of a large luxury car into a smaller, more affordable one? Many brands have promised us this but in reality, only one model has actually delivered it. This car, Audi's A1. It was launched back in 2009 in three-door form, based on VW Polo underpinnings, with a five-door Sportback body style added to the range in 2011. 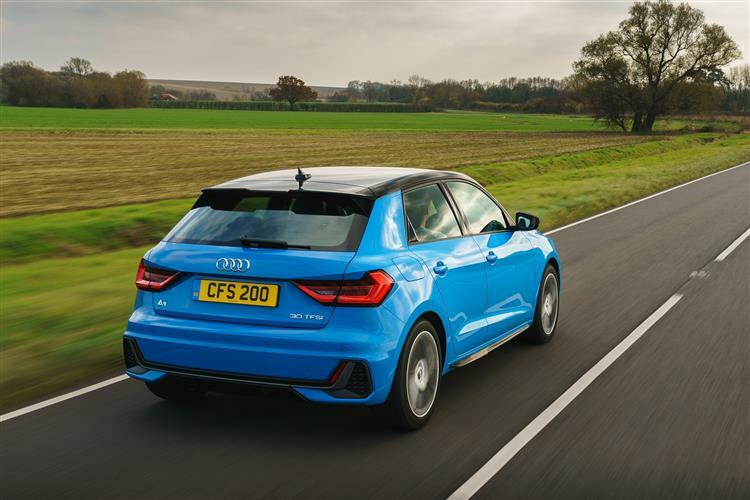 Half a decade on though, the A1 was starting to feel its age, especially against cheaper Volkswagen Group models like the fifth generation SEAT Ibiza and the sixth generation Volkswagen Polo, both of which made use of the group's more modern MQB platform. 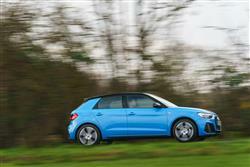 That chassis now undergirds the second generation version of this A1, now offered only in five-door Sportback form and only with petrol power. It gets the pick of the Wolfsburg conglomerate's latest green pump-fuelled engines, plus cutting-edge infotainment and safety technology, plus the chance for buyers to specify the Audi Virtual Cockpit digital instrumentation screen that's gone down so well further up the range. Sounds promising. 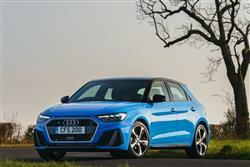 Not too much is new on the engine front, though Audi disguises the fact with a range of new model designations. There's a choice of efficient TFSI petrol units with outputs ranging from 95PS to 200PS, all enhanced by turbocharging and direct injection. Things kick off with the '25 TFSI' derivative, which has a 1.0-litre three cylinder unit offering 95PS. Next up is the '30 TFSI' variant, which uses a 116PS version of the same engine. Moving further on, there's the '35 TFSI' model offers a 150PS 1.5-litre four-cylinder engine which uses a cylinder on demand technology. And if you want more power, there's a '40 TFSI' 'S line Competition' derivative using a 2.0 TFSI engine with 200PS. Diesel power is notable by its absence. All engines can be linked to either a manual gearbox or the seven-speed S tronic dual-clutch transmission, with the exception of the 200PS variant which uses a six-speed S tronic transmission as standard. The chassis configuration is much as before, which means a straightforward torsion beam suspension set-up is still used at the rear. Tauter sport suspension is optional if you're happy to keep your chiropractor on speed dial, but it's better to upgrade yourseolf to adjustable dampers if you can. 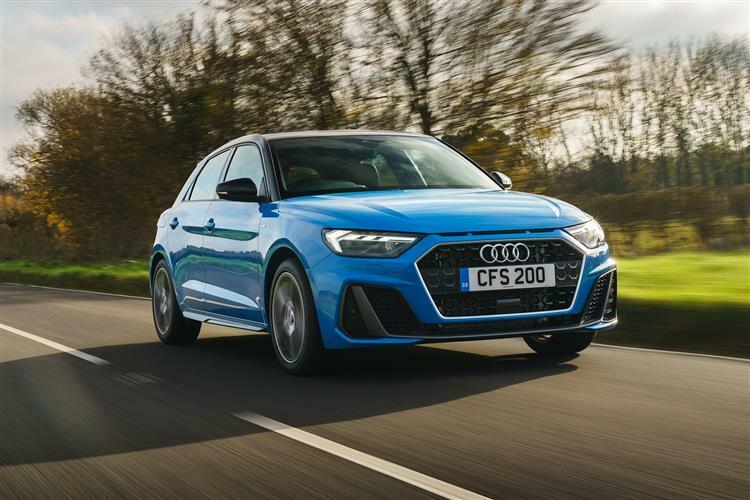 Other driver-focused additions you can add include a sound actuator, red brake calipers, larger brake discs and the Audi 'drive select' adaptive dynamics system. This allows drivers to select from four modes that influence the driving characteristics: auto, dynamic, efficiency and individual. 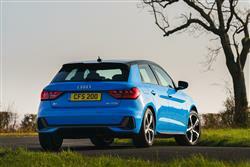 The A1 Sportback has grown significantly in length - extended by 56mm: it now measures a fraction over 4m. Width and height remain much the same as part of a low-slung stance with short overhangs. The wide, low-placed Singleframe grille and the implied side air inlets dominate the distinctive front, above which are three flat bonnet slits which pay homage to the Sport quattro, the brand's rally icon from 1984. From the side, there's a wide, flat sloping C-pillar that seems to push the car forward even while standing still. The roof contrast line, which is available in two dark colours, ends above the C-pillar. There are smarter 3D-style rear lights too. And inside? Well there's a more spacious cabin with classier design highlighted by a fully digital instrument cluster with a high-resolution 10.25-inch display and a multifunction steering wheel. The virtual cockpit TFT instrument display screen that we're now familiar from other Audi models is now optional for A1 buyers and offers an extended range of functions such as animated navigation maps and graphics of some driver assistance systems in the driver's direct field of vision. Adults in the rear seats still enjoy reasonable head and leg room by supermini standards. Out back, luggage capacity has increased by 65-litres to 335-litres, and with the rear seats folded down, this increases to 1,090-litres. Pricing isn't much different to before, mainly siting in the £18,000 to £25,000 bracket for the single five-door body style now on offer. For our market, there are the usual 'SE', 'Sport' and 'S line' specification options. With 'S line' trim, you get a more dynamic look courtesy of larger air inlets, additional sill trims, plus an elongated slit centrally below the bonnet with two fins and a larger rear wing. Go for 2.0 TFSI 200PS engine and you have to have 'S line Competition' trim, in this guise striking twin tailpipes adding to the air of purpose. 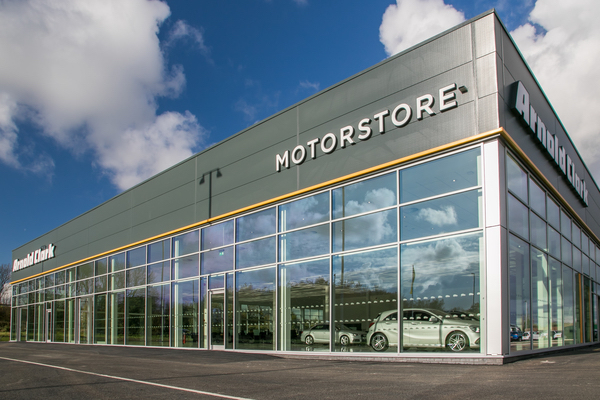 Buyers get a choice of ten colours which, as an option, can be combined with a contrasting roof colour extending from the A-pillar to the roof edge spoiler. The exterior mirror housings, the side front spoiler lips and the side sills are also available in a contrasting colour. All versions can be equipped with the optional Navigation Pack or Technology Pack, the former adding hard disc-based MMI Navigation plus with a 10.1-inch MMI touch screen and the higher specification Audi Virtual Cockpit, and the latter both of the above plus the various internet-based services offered by Audi connect and Audi Phone Box wireless charging functionality. As for safety, well 'Audi pre sense front' autonomous braking and lane departure warning both now come as standard. 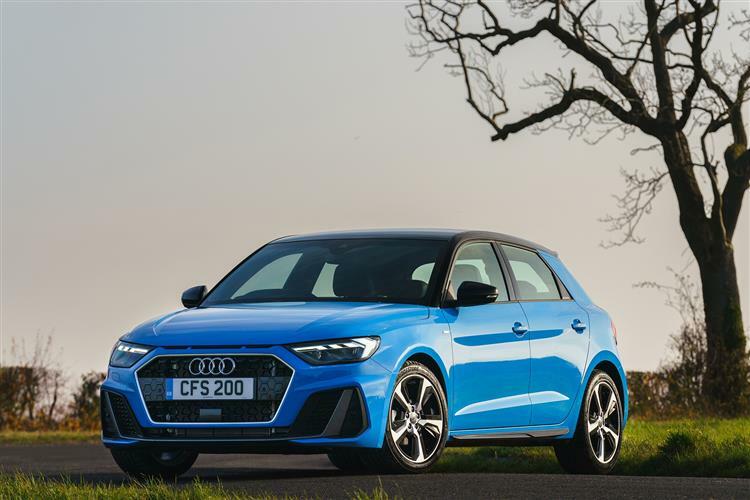 Audi has concentrated on improving the efficiency in this A1 Sportback, and nowhere is that more clearly demonstrated than with the 1.0 TFSI engine models. This three-pot 1.0-litre engine in the 25 TFSI model is capable of returning around 65mpg on the combined cycle and around 100g/km of CO2. In 116PS guise with the '30 TFSI' variant, this unit can manage up to 58.9mpg and up to 108g/km. The 1.5-litre TFSI petrol unit in the 35 TFSI version doesn't do too badly either, managing over 50mpg and under 120g/km of CO2. The evolutionary styling of this second generation model isn't going to send residuals of older A1s into a flatspin either, which will come as some relief if you're an existing owner, and should help protect the value of your trade in if you fancied chopping it in against a new version. As for maintenance, well servicing your A1 Sportback should be no more taxing than is the case with one of the company's larger cars. As usual with Audi models, there's a choice of either a 'Fixed' or a 'Flexible' servicing regime, the choice between the two depending on the extent of your likely annual mileage. If you've ever wondered just how much style and luxury is really possible in a really small car, then it's worth trying one of these. 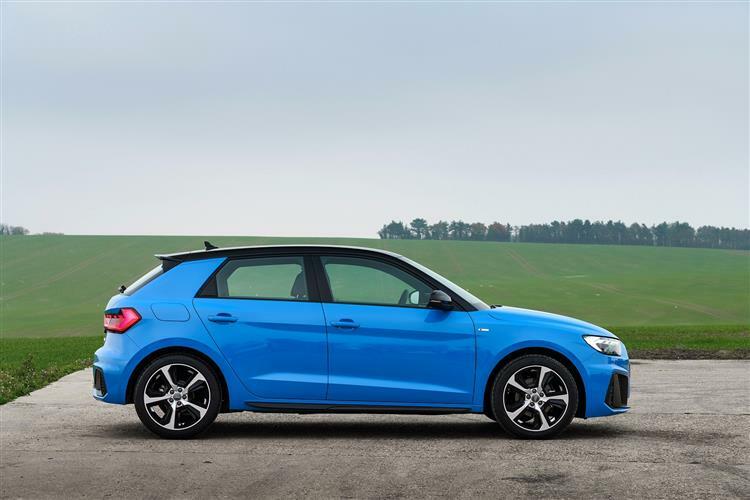 In distilling the essence of 'Audi-ness' into something this compact, the German brand continues to set this A1 Sportback apart in the supermini segment, offering a balance between sportiness, quality and comfort that rivals are still struggling to match. True, ground-breaking technology isn't on the agenda here, but as Audi has already discovered, there's a place for that and it probably isn't in this very price-conscious sector of the market. What's more important is that if you climb out of an expensive A4 or A6 into an A1 costing half as much, the feeling is very much the same In fact, that's even more the case with this MK2 model with its smarter finish and hi-tech Audi connect infotainment options. All right, so in overall terms, the revisions made to this supermini aren't especially far-reaching, but then they didn't really need to be. There's still nothing else in this segment that's quite as polished and premium. The A1 then, remains a very expensive-feeling car that for you, may well be just about affordable. Exactly as Audi promised.